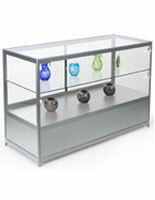 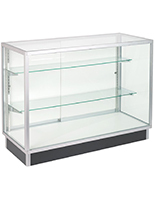 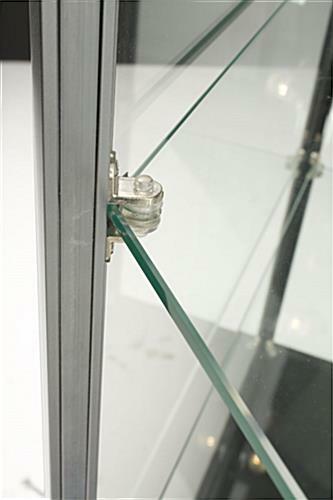 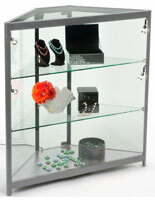 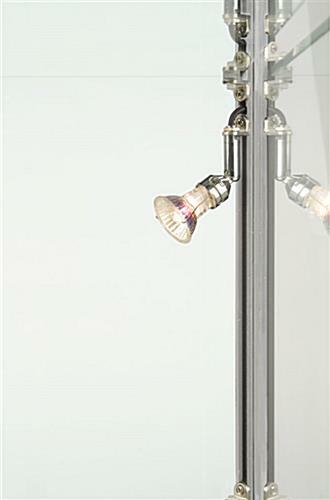 These glass sidelit corner display cabinets feature a silver aluminum frame and a full view design. 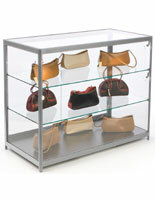 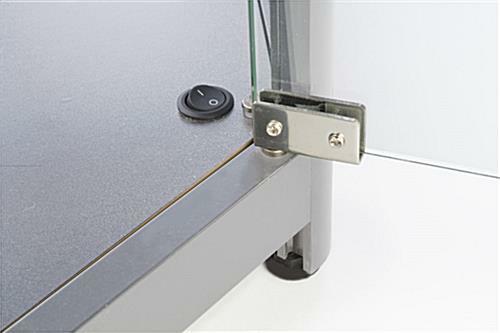 Each store fixture features (2) adjustable shelves to accommodate different sizes of merchandise. 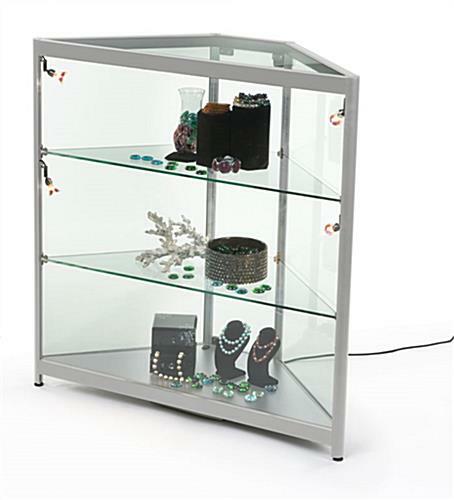 The silver finish sidelit corner display cabinet also include a locking back door that swings open for easily accessing items. 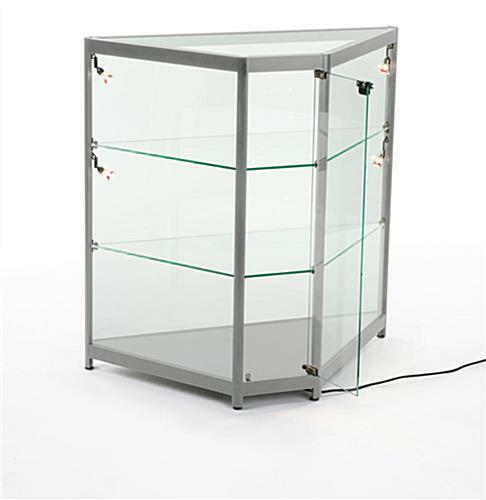 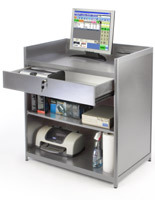 The merchandise cases can be used to display jewelry, model cars, sports memorabilia, and easily accommodate POS equipment for use as a service or register counter. 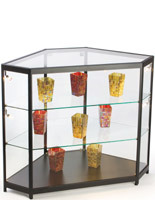 The corner display cabinets come with (4) 20-watt halogen side lights that allow users to illuminate contents and attract customers. 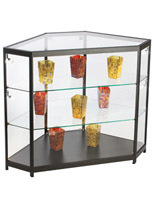 The stylish 38" tall store fixture comes with built-in floor levelers for stability when used on uneven flooring. 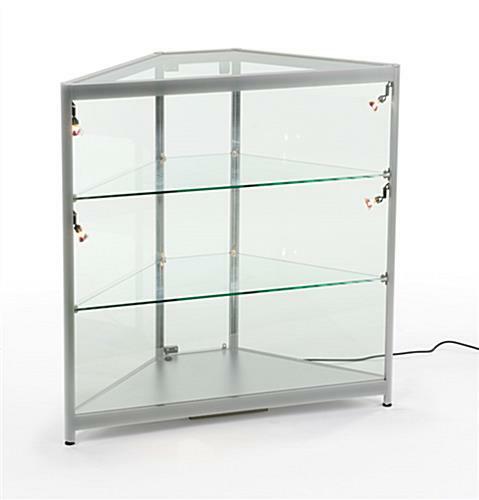 42.0" x 38.0" x 17.5"